Have you seen Alfred speak? Leave a review. An award-winning reporter and editor, he is the host of Money Matters, and one of America's top influential financial and business journalists. For over two decades, he has shaped the brand and content of digital-first multimedia content company, Black Enterprise, where he currently serves as Senior Vice President and Executive Editor-at-Large. His "A Grown Man Knows™" content on the values and behaviors of responsible, life-affirming manhood, has garnered a rampant following on social media platforms. Editor-at-Large of Black Enterprise, one of the many platforms where he has built recognition as a leading authority on finances, entrepreneurship, leadership, mentorship, and leading a life that’s true to one’s faith. After obtaining an exclusive interview with financier Reginald F. Lewis, who was about to execute his company’s $985 million acquisition of Beatrice International Food Company, Edmond became a leading name in business and financial journalism. An accomplished multimedia executive, he led Black Enterprise through the transition from print magazine publisher to a digital-first multimedia content company. He transitioned himself to digital as well: his A Grown Man Knows™ content on the values and behaviors of responsible, life-affirming manhood, has garnered enthusiastic appreciation on social media platforms including Twitter and Facebook. He has been deemed “one of the most influential people in the magazine industry” by Folio, and one of the “Top 100 Most Influential Black People on Social/Digital Media” by Ealan Media. Edmond and his partner Zara Green are co-principals of A2Z Personal Growth Enterprises, where they combine their expertise to create the Grown Zone, a multimedia initiative that aims to steer adults toward decisions that will help them achieve honor, esteem, respect, prosperity, health (mental, physical and spiritual), healthy relationships and self-loving behaviors. Edmond is a familiar presence on television and nationally syndicated radio. He serves as a commentator on PBS’ Nightly Business Report; a contributor to American Express OPEN Forum and The Doug Banks Show radio program; and a guest expert on MSNBC’s Your Business. Since 2011, he has served as the host of Money Matters, a nationally syndicated radio feature of American Urban Radio Networks. Alfred A. Edmond Jr. is an accomplished multi-media executive, business financial journalist, entrepreneurship expert, and dynamic public speaker, event moderator/presenter, and live-event interviewer. 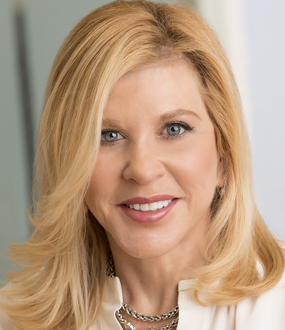 Edmond currently serves in the role of SVP/Executive Editor-at-Large of Enterprise, responsible for providing brand, marketing and content leadership as a member of the multimedia company’s senior management team. 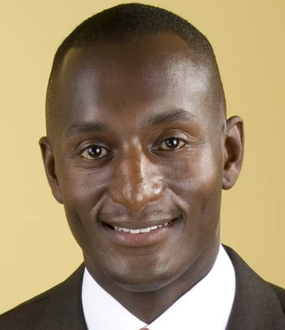 Prior to his current position, Edmond was SVP/Chief Content Officer responsible for overseeing marketing for all of the major franchises of Black Enterprise including the magazine, television shows, web site, social media and live networking events, and content for the company’s broadcast and digital properties. 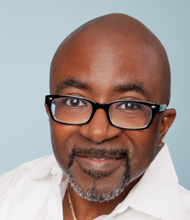 From 2008 through 2010, Edmond was SVP/Editor-in-chief of BlackEnterprise.com. helping to lead the transition from single-magazine publisher to digital-first multimedia company. From 1995 through 2008, Edmond was chief editor of Black Enterprise magazine. Networks. Edmond appears regularly on television and nationally syndicated radio, including serving as a commentator on PBS’ Nightly Business Report; contributor to American Express OPEN Forum and The Doug Banks Show radio program; and guest expert on MSNBC’s Your Business. A highly respected social media enthusiast, he enjoys a large, active and influential network across several social media platforms. He is also a trusted mentor, adviser and confidante to dozens of successful professionals and entrepreneurs. 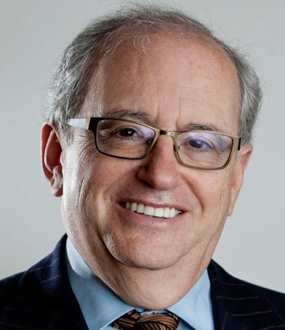 Edmond is a member and former board member of the American Society of Magazine Editors (ASME), and served as a judge for ASME’s National Magazine Awards for more than a decade, including several years as a judging leader. He is a member of the National Association of Black Journalists (NABJ), a lifetime and former board member of the New York Association of Black Journalists (NYABJ), a life member of the Rutgers University Alumni Association, and a lifetime and founding member of the Rutgers African American Alumni Alliance (RAAA). He is also a charter member of the NABJ Business Wrtiers Task Force. Edmond currently serves on the editorial advisory board of the Rutgers Alumni Magazine, and on the board of the Coach K Center on Leadership and Ethics (COLE) at Duke University’s Fuqua School of Business. Renown business journalist, Alfred Edmond Jr. examines how ordinary people can equip and empower themselves to make the wisest financial decisions possible in a post-recession world that does virtually nothing to educate society on managing money. In this age though, it's more important than ever to become financially literate. The institutional model - employers and government agencies that took care of previous generations' insurance policies and pensions - is disappearing as younger Baby Boomers gained unprecedented power to choose what they would do with their money. While Edmond admits that much of the financial distress in the 2008 Financial Crisis was institutional, individual consumers' decisions played an undeniable part. "A lot of people self-inflicted. A lot of it was us making ill-informed decisions about what we do with our money on a day-to-day basis," he says. Putting things into perspective, Edmond summarizes that every consumer has a behavioral pattern that is either "feeding a poverty-creation lifestyle or a wealth-creation lifestyle." As a business journalist, Alfred Edmond Jr. is constantly at the center of a massive flow of information regarding wealth management and business strategy, and it’s his job to organize and communicate that content in the most simple yet informative way possible. As a speaker he does exactly that, using his expertise on personal finance, entrepreneurship, mentorship, leadership development, and relationships to show people how they can recognize and change the beliefs, emotions and behavior patterns that put their business, finances, careers and happiness/peace of mind at risk. 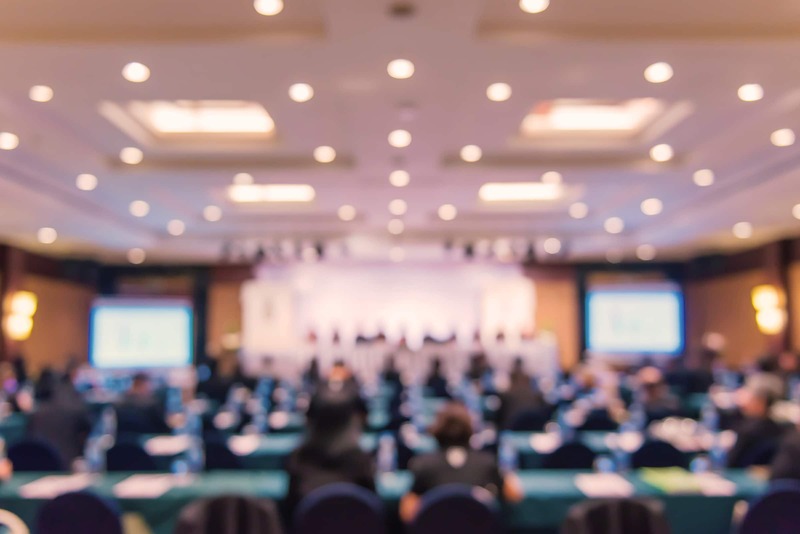 Furthermore, Edmond delivers guidance on how audience members can pinpoint the healthy decisions that will protect and infinitely enhance their financial, business and professional success and happiness/peace of mind. Edmond is also an experienced moderator, panelist, social media host and interviewer for live events, drawing from over two decades of professional work that has put him on-stage with some of the most high-profile business leaders and entrepreneurs in the world. Every entrepreneur believes they have can’t miss ideas. Have you tested your idea? Do you have proof of concept? Are you marrying your idea when you should only be dating it? Do you actually know how to lead a company? emotional literacy, self-management and preparation skills necessary for successful entrepreneurial leadership, Alfred takes audiences on the crash course of a lifetime. Having spent a lifetime in journalism, Alfred has accumulated a wealth of invaluable insights and secrets to success gleaned directly from exclusive interviews with outstanding business leaders. In this powerful talk, Alfred highlights the commonalities between some of the greatest minds in business — including billionaire Chairman & CEO of Koch Industries, Charles Koch. develop to establish winning relationships. Too many people have surrendered to the belief that dissatisfaction, neglect, infidelity, abuse, disrespect, conflict, exploitation and betrayal are natural, normal, and unavoidable characteristics of romantic relationships and even marriage. We are presented with a choice: relationships that don’t last and relationships that do, as long as participants are willing to endure inevitable suffering, mistreatment, and victimization, usually at the hands of one another. Loving in the Grown Zone is a rejection of that thinking. It is testament to the authors’ belief that while there may be no such thing as a perfect relationship, that is not justification for accepting anything less than healthy relationships. No one is required to accept mistreatment as the price of a loving, safe, and sustainable relationship of honor, esteem, and respect. Furthermore, establishing such healthy, resilient, and fulfilling relationships are not a matter of luck or chance, but of intention, learnable skills and practices, and commitment to personal growth. 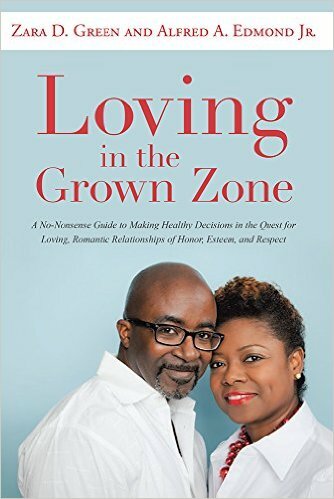 Loving in the Grown Zone urges you to learn those skills and commit to those practices, including recognizing the difference between the attractors that motivate us to initiate romantic relationships and the sustainers required to ensure that such relationships are healthy, safe, and affirming for both partners.